The program will roll out across all of Apple's locations, Ahrendts told CBS News, in an effort to manufacture "town squares" where customers engage with their communities —and their devices. 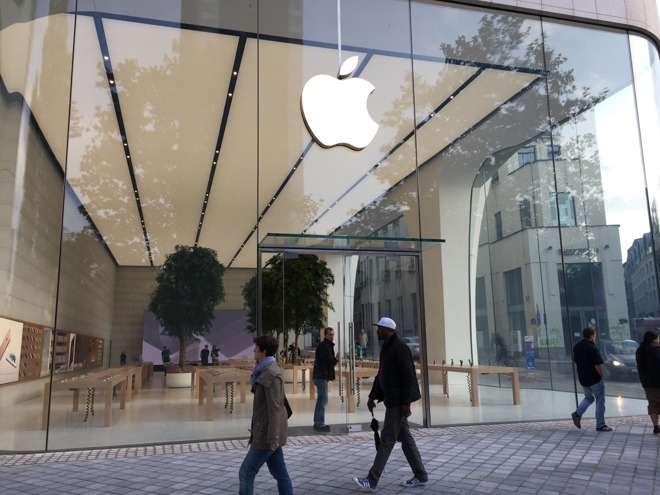 The executive provided few other details, but store visitors should be able to attend classes and other experiences, for instance taking advantage of Apple's new "creative pro" staffers skilled in fields like music and photography. "And you know, I've told the teams, 'I'll know we've done a really, really great job if the next generation, if Gen Z says, "Meet me at Apple. Did you see what's going on at Apple today?"'" The company has long held workshops and other events at its stores, and it's not yet clear how Today at Apple will distinguish itself. Under Ahrendts, Apple has been overhauling the design and operations of its retail chain, with many shops adding trees, wooden shelves, oversized video screens, and new conference rooms, as well as new work roles. More controversially however, the company is allegedly cutting a number of business and events jobs. Update: In a follow-up press release, Apple explained that there will be more than 60 different sessions, such as Studio Hours, in which creative pros will discuss topics like art, design, and presentations, and offer advice on personal projects people bring in. Photo and Sketch Walks will take people outside the store to improve their drawing, painting, or photography. Similarly, Photo Labs will bring in photographers for hands-on sessions, and Music Labs will do the same for musicians. "Pro Series" events will offer instruction in Final Cut Pro X and Logic Pro X. Other offerings will include Coding sessions teaching people basic programming through Swift Playgrounds, and the Kids Hour, alternating its focus on coding, GarageBand, and iMovie. "Select" stores will get Perspectives and Performances —artists and musicians talking about their work and/or putting on a show. Teacher Tuesdays, lastly, will encourage teachers to incorporate Apple technology into classrooms, and Business Circuits will connect small business owners with entrepreneurs. To accommodate Today at Apple, stores will be getting new mobile "forum displays," along with updated seating and sound fixtures.